Coal exports from South Africa’s Richards Bay Coal Terminal fell about 4% to 73.5m tons in 2018, missing an internal goal of 77m tons. Asia was the top destination, accounting for 82% of exports, Chief Executive Officer Alan Waller told reporters Thursday. RBCT is targeting 77m tons again in 2019. The terminal has the capacity to ship 91m tons annually. 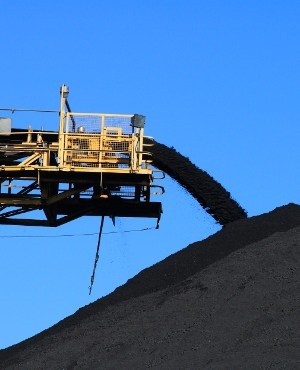 Coal prices for Richards Bay last year rose above $100 per ton for the first time since 2012. The terminal handles coal from mines owned by companies including Glencore, Anglo American and South32. South Africa is the seventh-biggest producer of the fuel globally, according to a 2018 BP Statistical Review of World Energy. Operations were slowed or halted at times by extreme weather but that didn’t have an impact on total exports for the year, Waller said. State-owned port and rail company Transnet in December had to declare force majeure on the export line running to Richards Bay after a train was derailed and the track was found to be cut with a blow torch in an incident suspected to be sabotage.